Network Bulls provides Industrial and Summer Trainings in Networking as well as Network Security Technologies at its Delhi NCR, Gurgaon campus. Students pursuing graduation especially B-Tech/BE/BCA/MCA Students can opt for these training programs during their Summer Vacations and the semester breaks. We also provide a certificate of training which validates the practical skills of the candidate and helps them to get placed just after completing their graduation. Below are various options for Live Project Based Summer Training and Industrial Training programs offered by Network Bulls for fresher engineering students. Network Bulls provides 1.5 months summer training to undergraduates/graduates which is entirely project based. This internship program is introduced with objective of providing knowledge of networking and guide them over career options available in the field of IT Networking. Projects like Branch Office Network Designing and Implementation & Troubleshooting are prepared on live cisco devices. To check course detail, go to training plan. 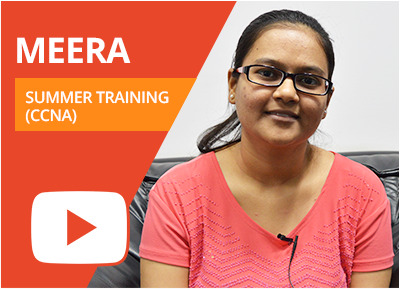 Network Bulls has also launched 2 months summer training program which would give students in depth knowledge of CCNA and Network Security. The training program is also project based and covers projects like Branch Office Network Designing and Implementation & Troubleshooting which are designed on live cisco devices (routers and switches). 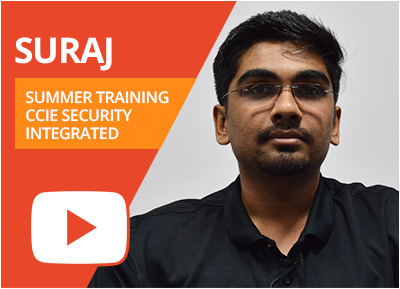 All network security basics are covered in this training program.To check course detail , go to training plan. 6 months industrial training plays a vital role in shaping career of young IT aspirants/students. This training is specifically introduced so that students can get familiar with current industrial culture and industry requirements. Network Bulls offers 6 months training program to undergraduates /graduates which includes minor plus major projects. Some of the projects included are Enterprise Network Implementation, Airport network design project, major WAN implementation and head office network implementation & security.To check course detail , go to training plan. World's Largest Cisco Training Labs. Network Bulls is the best Institute for Cisco Networking Training courses and Network Security Trainings in Delhi Gurgaon. Students from Rohtak, Chandigarh, Jaipur, Rajasthan, Punjab, Himachal, Haryana, Bhiwani, Bhiwadi, Ambala, Sonepat, Panipat, Sohna, Delhi, Faridabad, Noida and Gurgaon visit Network Bulls for Summer Training courses. Note: For student’s evaluation, these projects can be shown virtually with the help of networking software. Designing and Implementing a Scalable and Complex Network for an international airport with over 500 users using Cisco 2611, 2811, 2801 Routers & 3550, 3560. Creating a scalable, fast & secure network for an Indian Bank with presence in multiple cities across India with 10,000+ users using Integrated Security Services. Network Bulls provides Training Letter, Training Certificate, Live Project, Experience Letter based on Live Project to candidates opting for Summer Trainings in Gurgaon from Network Bulls. The objective of our summer training program is to help students to complete their practical project and introduce them to the real-time utility of the technology, real networking environment as well as the requirements of the IT industry. Each program covers the blueprint of one or more Cisco certification course which serves a long way in shaping the career of students. We also guide students about building their career in the IT Networking industry, explain them about different networking certification courses, their scope and a lot more. In addition, we provide 24x7 access to real devices in our World’s biggest Cisco training labs. Thus, you can learn the practical implementation of the technology and know the functioning of real devices. Hello everyone, I am Rishi and while searching for IT Summer training institute on internet, I came to know about Network Bulls. I searched the web for knowing about the institute in detail. I was amazed to see their world’s biggest Cisco training labs and the educational facilities provided to students. 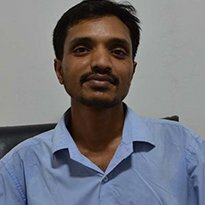 I came here for CCNA training and I have also completed my project successfully. I learned a lot about networking at Network Bulls. Thanks, NB!!! Hi guys, I enrolled at Network Bulls for CCNA R&S summer training course. One of my teachers suggested me to join Network Bulls and I think he suggested me the best. 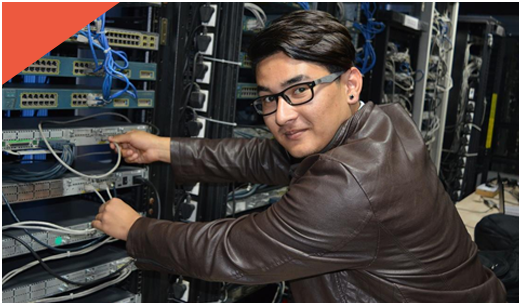 At Network Bulls, I learned the practical functioning of networking devices which helped me to complete my project. Trainers at Network Bulls are expert in their networking domain; labs are well equipped with real devices. They are the best, Cheers NB!!! Hi, I am Nagendar and I am a B-tech student. For completing my final year training, I was searching for the best IT summer training institute and my search ended with Network Bulls. I enrolled in CCNA R&S summer training course. I was allowed to access the real Cisco devices and provided 24*7 lab facility. They also helped me in completing my final year project successfully. Trainers at NB are really supportive and helpful. 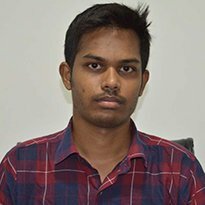 I am Ambadikar Rohit I have joined CCIE R&S Integrated Course at Network Bulls and got the placement in Alethe Consulting Pvt Ltd. I am really very glad to get this placement. The World’s largest Labs are at Network Bulls that are opened for 24*7 for the Network Bulls’ students.  I would highly recommend Network Bulls for every individual looking for the opportunities in the networking field. Network Bulls is the best place to prepare for the networking studies. My experience was marvelous at Network Bulls. I had spent my more and more time in practicing on real Cisco devices in the world’s largest labs are at Network Bulls. The students get the access of labs for 24*7. I would recommend Network Bulls for every networking aspirant. 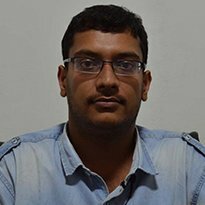 Hey, My name is Chetan Rathod and I enrolled in MVTE at network Bulls. After completing the course I have got selected in Alethe Consulting Pvt Ltd. The reason behind my selection is only Network Bulls. I have got educated with the latest technology in the world's biggest laboratories fully equipped with the real Cisco devices. Excellent place to get the networking training.